Rashi on this part of the verse says. It says regarding animal offerings and bird offerings that the Korban – Sacrifice is a fragrance pleasing to God. This teaches us that whether one does much or little, [it is equally pleasing to God] provided that he directs his heart to God. The Kotzker says, “the understanding is that even one who does much also needs Kavana [to direct his intentions and thoughts to God}. I also opened up a Sefer on Vayikra by Rabbi Jonathan Sacks, former Chief Rabbi of Great Britain, who has a brilliant Dvar Torah on Holiness, Korbonas (Sacrifices in the temple), purity and impurity. I recommend reading t it o properly set the tone for Vayikra. Joe Bulgatz ate over. We eat in the basement before Pesach every year as our kitchen and dining room has been cleaned for Pesach. 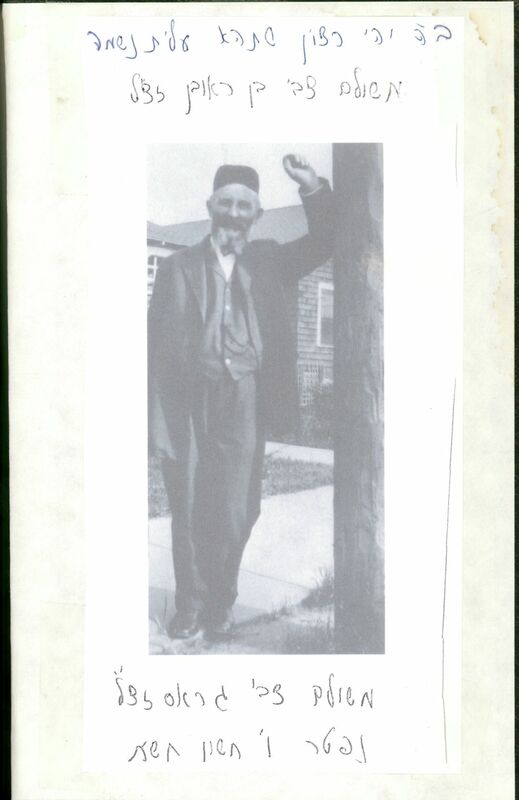 Rabbi Zalmen Eichenstien had a Chanukas Habayis as he moved into the neighborhood. It was a Chassidic get together. The songs are beautiful. Davened at Mishne Ugemorrah, had Kiddush, went to Yonatan’s house to speak Torah, and then went home to sleep. Got up at 4:15 PM, went to visit my mother, and then walked to Anshe Sholem, 5.9 miles from my house. I missed the speech of the scholar in residence, Dr. Shira Berkowitz. Refer to her attached resume. Of course, played Jewish geography with her. She went to Prospect Girls High School and she mentioned a great story about the Rov, Rabbi Abraham Kelmen. My sister and her family davened in his Shul for over 20 years. I have been inspired by him and he is Mishpocha to me through the Smiley family (Greenwald). Dr. Shira Berkowitz had just started at Prospect and something happened that Dr. Shira would be reprimanded. She had to meet with Rabbi Kelmen, the principal. She was expecting a tongue lashing and when she meets with Rabbi Kelmen, he asks her, How is your integration into Prospect Girls High School going. That was it, no negativity; just a desire to make sure Dr. Shira is doing well in his school. Rabbi Wolkenfeld at the Shalosh Seudes meal said that it is the Yahrzeit of Professor Nechama Leibowitz and spoke out a Dvar Torah from her. She asked why is there a difference in Yeyikra and Tzav in the order of explaining Sacrifices. She answers that in Vayikra the conversation is with the entire Jewish people and to the Jewish people the Shalomin takes priority. In Tzav’s Moshe is talking to the Cohanim directly and to them priority in Holiness is how the sacrifices are mentioned. 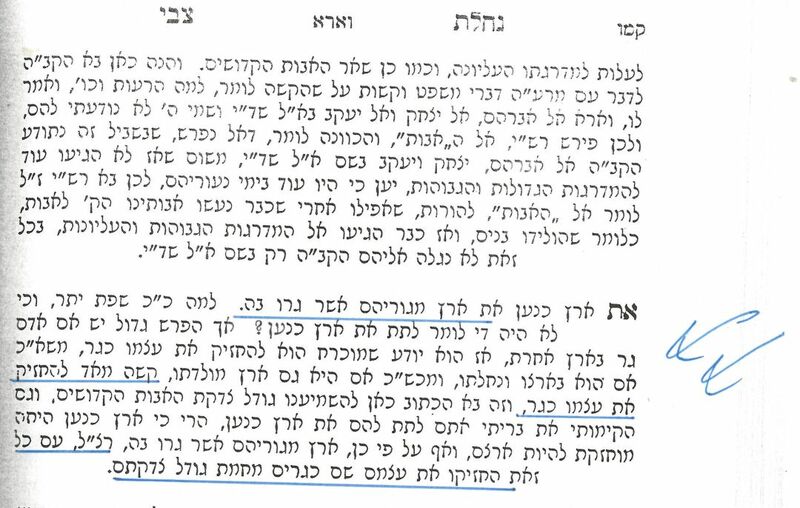 Or you can say that in Tzav the last three sacrifices is based on the amount of food the Cohen eats. They get least by Shalomin. My son picked me up and went to his apartment after Shabbos and then walked home at 10:50 PM. Hopped on a 2:00 PM flight to Los Angeles. I hadn’t been to LA since late December 2015. My seat placement on Southwest was C 04 so I had to sit in a middle row. Someone thin was in the aisle seat so it was not bad. Arrived in LA and needed a Minyan so I could say Kaddish for Beverly OBM. Hopped on the 405 and was sailing along until I hit traffic and was stalled, missed Mincha. I called Martin Brody and we made up to meet at the Fish Grill on Pico and Beverly. I had a very nice dinner with Madelaine and Martin. Left about 8:00 PM to go crosstown to daven Maariv at Rabbi Bess’s Shul. After Maariv my classmate from high school, Sheldon Burg, came over to say hello. I did not recognize him. I look the same as in high school. Met up with Tziporah, my niece, and she wanted to go to the Yogurt place on La Brea. Afterwards went to the place I was staying in Hancock Park, on Las Palmas. My host was very gracious. Woke up at 8:00 AM and went to daven at the red shul at the corner of La Brea and Oakwood. I love going to that Shul as it is a New York style shul, wooden floors, many Minyanim, and a place where the Mishulachim hang out. There are sweet rolls for visitors. Met Kornwasser. Went to the Mikvah in the Shul. It was only $2.00 and did not have a turnstile to keep people out. It was old school with the towels threadbare. I loved it. After the prayer services went to La Brea Bagel Co. at 7308 Beverly. The Parkers graciously paid for any food ordered from La Brea Bagel using the attached coupon. I got there and my cousins were already there; Piala and Charles, Michael Parker and kids. A few minutes later in walks Sasha mother of the Bar Mitzvah boy. Afterwards in walks Zlat, David, Laura and kids. Afterwards in walks Shoshana and her husband, with their baby. It was great. I also met Michael’s Rosh Yeshiva, Rabbi Dovid Hirsch, and Rabbi Hirsch’s wife. Rabbi Hirsch grew up in Peoria and knew my namesake, Harry Morgenstern. 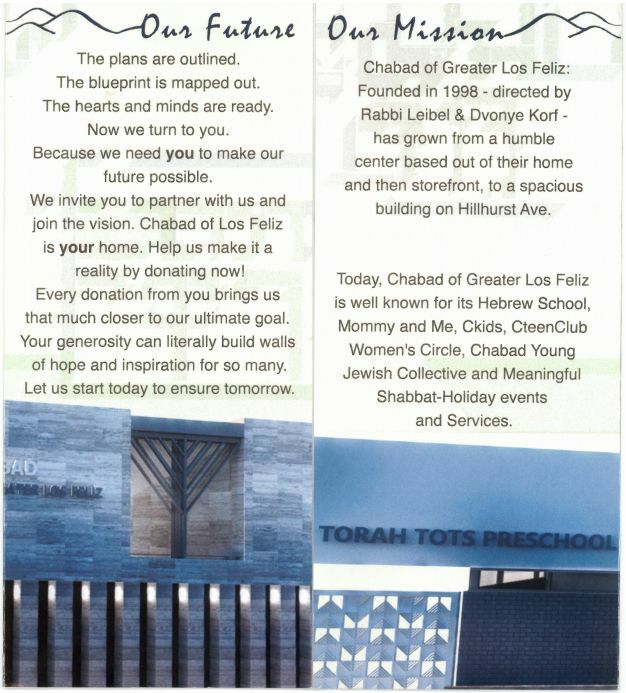 Rabbi Hirsch knows Rabbi Joshua Hoffman, who needs a Refuah Shelamah. Walked back to La Palmas to pick up my car. I realized that 17 years ago when my mother and I came to LA for Sasha and Michael’s wedding, we stayed a few doors down by Joe Bobker. Went to visit Aunt Florence at the assisted living facility on Fairfax, Garden of Palms, just south of Santa Monica. On the way, went back to La Brea Bagel and picked up two sandwiches to have food for the day. Sorry, Michael. Visited Aunt Florence, however, she was exhausted and she slept while I visited. So I sat down and likewise dozed off for the 45 minutes I was by Aunt Florence. Went to Hollywood Boulevard and to my father’s apartment building at the corner of Hawthorne and Sycamore. Sat down and had one of my sandwiches at the Hollywood/Highland shopping center. The number of street performers seems to have grown. Many superheroes. Afterwards went to the storage unit housing my father’s belongings to commune with my father’s spirit. Opened the storage unit. It is jam packed with items and I was not able to get into the unit. I looked through the books he had. There was an Ain Yaakov. Most interesting he had a number of holocaust books. I read through the introduction on one of them. It was a book on Auschwitz. In the introduction the author wonders why the Jews made it easy for the Germans and went to the killing centers. We didn’t they make the Germans aim of killing every Jew as difficult as possible. This is a question I thought about. In fact Dr. Hillel Zeidman wrote in late 1943 that Rabbi Menachem gave a talk to the leaders of the Jews in the Warsaw ghetto. Rabbi Ziemba said we should fight the Nazi’s and lamented the fact the Jews walked to the Umschlagplatz and onto the trains, making it easier for the Germans. I do not understand in Hungary 1944 after the death camps were known, there was not a Psak that it is Assur to board the trains. Stay in your houses. I know if is easy for me to say, sitting here in America. Went back Las Palmas to get ready for Shabbos. The principal, Rabbi Shlomo Einhorn, has a Shul He was a student and in the same class as the mother of the Bar Mitzvah boy. It’s very nice, like a lecture hall, with the rows of seating rising up like an amphitheater. I sat next to Zlat’s husband, David. I saw a nice Ibn Ezra at the beginning of Parshas Trumah. Avi Maza davened and it was a concert, combining Carlbach with other songs. The Shul is phenomenal. 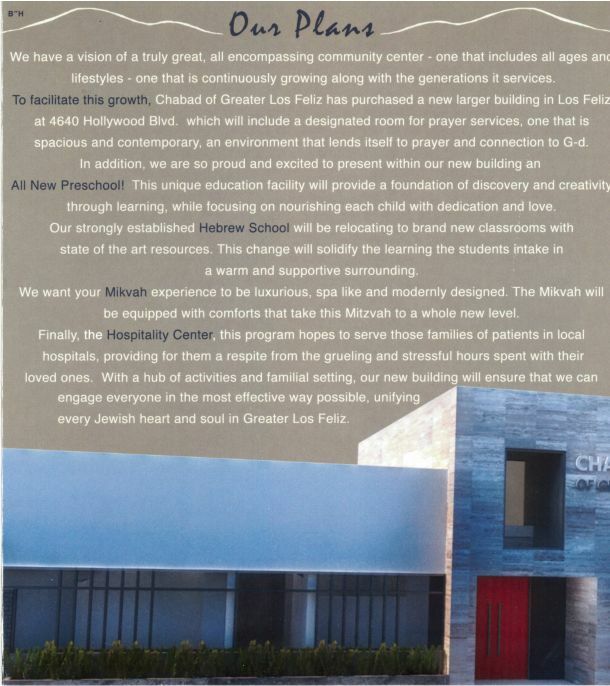 It is what a Shul should be with community, Torah, a Rov who gets it. Walked to Sasha and Michael’s house for the Friday night dinner. His house was full of family who came for the bar Mitzvah. It was overwhelming. I met Eve and her husband Charles parker’s cousin . She is a daughter of Rabbi Mordechai Simon OBM. My mother worked for Rabbi Mordechai Simon years ago at the Chicago Board of Rabbis. My mother and Rabbi Simon were the Shadchanim for Piala and Charles. There was a tent set up for the meal in the back yard. I sat with Zlat and David, Laura, Amy, Elliot, Avi and Dr. Lauren. The conversation was stimulating and I was honored to be with the Maza’s. Sassha’s brother spoke like a Torah Scholar. He spoke over Torah of Rabbi Joseph Maza’s father, Rabbi Eliyahu Mordechai Maza, the R’AM. The R’AM was the patriarch of the family and lived on Henry Street in the lower East Side of Manhattan. Rabbi Eliyahu Mordechai Maza said a Shiur at MTJ which was Rabbi Moshe Feinstein’s Yeshiva. If fact Reb Moshe went to all of the Maza weddings. Elliot Maza is name after the R’AM who was his grandfather. I first met Sassha’s brother at their wedding when he was a scrawny kid and he has turned into a Talmud Chachom. The Rov had a pre-publication review copy of a new English translation of the Bnei Yisoschor. The Vort centered on the two Cherubim that sat atop of the Ark of the Covenant. I remember the explanation of the translator, not the actual Bnei Yisoschor. Just as the Cherubs are inanimate objects and God put into them animation, so to when we are down, we feel depressed, we feels that we cannot go on, we have to understand the lesson of the Cherubim. Just as God put animation in inanimate objects, much more so us who are alive, who have a spark of God, can we bring back our life from the depths of despair. Jonah read the Torah portion. He was perfect. It was a pleasure listening to him. Jonah was called up for his Aliyah, bags of candy were thrown, and it was pure joy. Avi Maza davened Mussaf and again another concert. Davening was over. The Kiddush was held in Yavneh’s courtyard. I zeroed in on the sushi station. It rivaled Shoshana Parker-Fridman’s wedding sushi station. I was walking around and happened on Jacob Greenbaum, one of Laura’s triplets. He is a sweet soul. He had taken a plate of sushi, triple layered. I took one layer from him and had my second portion of sushi. I thanked Jacob for the food and told him that I love sushi. He disappears and comes back 5 minutes later with another plate of sushi for me. I told his mother that I appreciate her kids and Jacob. Whenever I visit Laura and family in Boca Raton on Shabbos with my grandkids, it was always Jacob who took Tiferat, gave her food, sat her down, and was concerned. All of her kids are great to my grandkids. I also was able to work the tent, talking with as many people as possible. I reunited with Sasha’s parents. The last time I saw them was 1999 or 2000 when I was visiting my father with Karen. We needed a meal for Shabbos and I told Karen , we will show up in Shul and get invited. Sassha’s parents invited us over for the meal. Went into the school lunchroom for the meal. The room was beautifully decorated. Johan made a Siyum on Mishnayos Mo’ad. Jonah Parker also said a complicated Torah Pshetal that would have made his great-grandfather, the R’AM proud. Rabbi Dovid Hirsh spoke, calling Michael and Sasha, individuals who are the best of YU. They embody what YU represents. It was tremendous honor to Sassha and Michael, the Parkers, the Maza family, and the Teichmans. I was inspired. Michael then got up and spoke. He spoke emotionally and let us in and be emotionally attached to the Simcha. He spoke about when he first met Rabbi Dovid Hirsch as a 19 year old student at YU. Michael wanted to get into Rabbi Dovid Hirsch’s class, however, there were already 60 students registered for the Shiur. The registrar told him that he can call Rabbi Dovid Hirsch and if Rabbi Hirsch agrees to accept Michael, then he can attend the Shiur. Rabbi Hirsch arranged a Bechinah . The Bechinah was on a Gemorah in Kiddsuhin, which Michael learned as a sophomore in high school. Rabbi Hirsch met with Michael and told him to read a Mishna. Michael read the Mishna and Rabbi Hirsch told him to close the Gemorah. Rabbi Hirsch looked at Michael and asked, “Will you give me 100%”. Michael, who is 19 year oil and shaking, says. Yes, Rebbe, I will give you 100%. As Michael is relating this, he is holding back tears. The emotional impact was felt by the entire room. Time stopped as Michael gathered himself and his thoughts. He was telling his wife and his children, yes, I have given you 100% of myself. Michael graciously shared his Neshamah with me and everyone in the room. Took a walk with Elliot and at 4:30 PM attend Rabbi Dovid Hirsch’s Shiur. Beautiful Shire. Had the Shalsoh Suedos meal back at Sassha and Michael’s house, davened Maariv, and heard Havdalah. Of course I too left over food for Sunday. After Shabbos, Tziporah came over, we went for a drive, Martin called me to offer an update on his mother-in-law. We drove past Mann’s Chinese theater, went back to where I was staying and talked a bit. She had some of the food I had from the Bar Mitzvah. Took the 7:15 AM flight back to Chicago. What a weekend. My Bracha to Sassha and Michael is that in 20 years they are sitting in Jonah’s dining room on Purim and Jonah’s students are sitting around the table at a Purim Seudah. Ate by the Glenners. Karen came in to be with my mother. It was a very nice meal. Chana is in Chicago during her winter break. Could not sleep and finally got up at 6:00 AM. Had 1.5 bowls of delicious Cholent. Learned Chumash through Moshe’s going to Midyan and marrying Zipporah, Yisro’s daughter. I went through the Medresh Rabbah and other Seforim to find support for my Torah on Chapter 2, Verse 11. 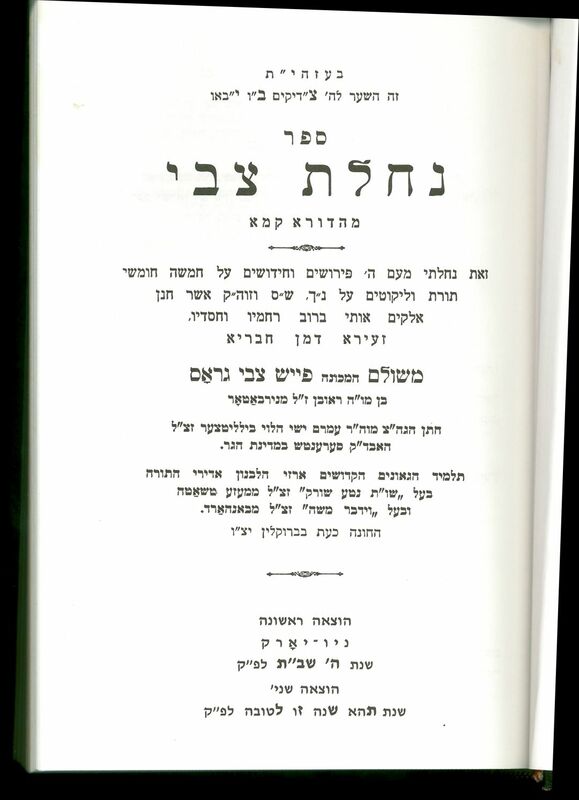 I opened up a Sefer calling Niflous Chadoshos written by Rabbi Yechiel Moshe Greenwald who was head of Jewish court of Kamarvka and Yadamov. Rabbi Greenwald was the grandson of Tzvi Hersh Dishkis. Rabbi Greenwald was a Talmud of Admor Dovid Morgenstern and one of the few sources of Torah form Admor Dovid Morgenstern. 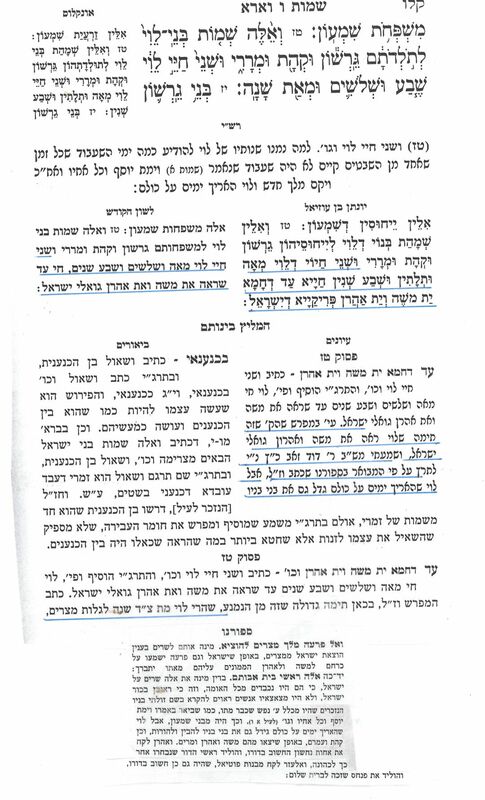 The Belzer Rebbe continues that this can be homiletically explained by the Verse in Yeshayahu, Chapter 27, Verse 6. 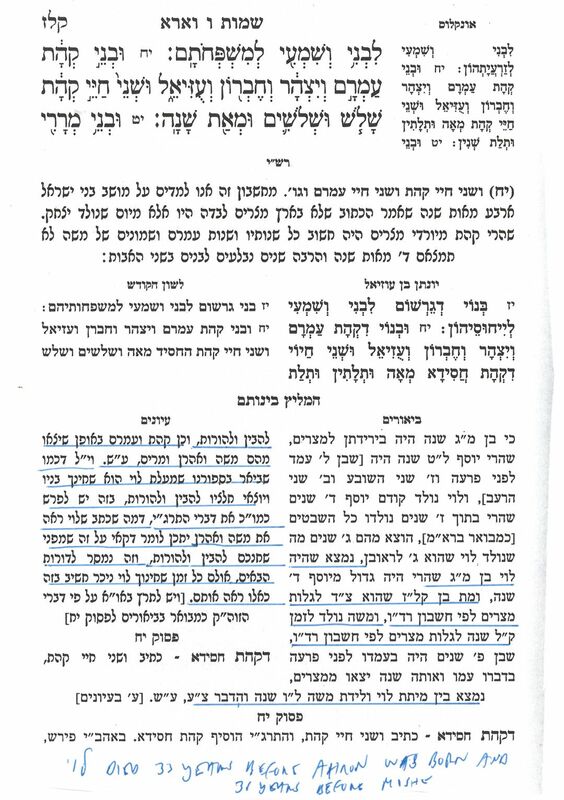 My great-great grandfather, Admor Chai8m Yisroel from Pilav and known the Pilivar Rebbe in his Sefer Sholom Yerushalim talks about that the return to Israel in the 1880’s is the start of the coming of Moshiach. The Pilaver asks how is it possible that the people who started the movement back to IsraelJacob implanted in the hearts of the Jews that the Jews should always be “coming” and in this merit salvation will blossom and burst forth. which is a holy endeavor, are far away from Torah and keeping commandments, and they have no idea about the purpose of building up the land of Israel Is the start of the coming of Moshiach. They have forgotten about Shabbos and how is it possible that they merited doing this Mitzvah, The Pilaver answers the question by saying that we do not knows Gods ways. Says the Hebrew version. Based on the words of the Belzer the answer is clear. Because of Yaakov’s prayer, there was implanted into the Jews hearts the eternal desire to go back to Israel. The secular Zionists, the people of Choviva Zion, Bilu, and others went for nationalistic reasons, anti-Semitism, and other reasons. But the real reason was a holy spark. It was through Yaakov’s prayers these secular Zionists had in their hearts a strong desire to reject the diaspora have a strong desire to go to Israel, a land that had many challenges, including swamps, poverty, in Israel. This Vort from the Belzer is how Rabbi Avrohom Yitzchok Kook saw in the secular Zionists, the holiness in their mission and he worked to bring them closer to Torah and Mitzvos. Mayer Chase picked my up and we went to Rochel Leah’s Chosen’s Auf Ruf at Meor Hatorah. Went home for the Shabbos meal. We had my daughter and son-in-law, Rivkie and Mordy Siegal and their kids, my mother, and Karen.